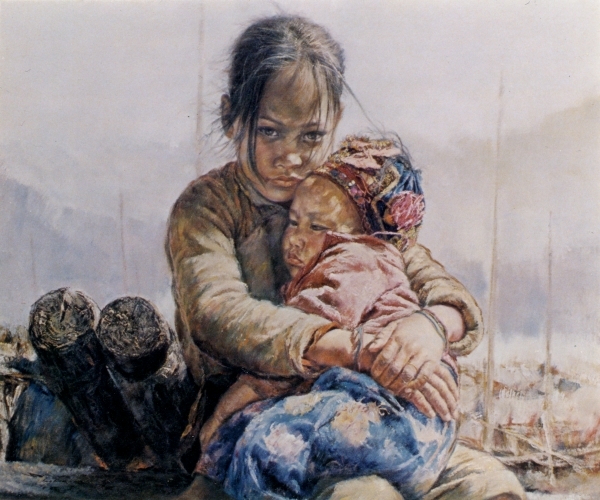 Description: The girl holds her little brother close, keeping him warm and partially shielding him from the wind. Her eyes give you the feeling of fierce sisterly protectiveness towards her little, sleepy charge. The artist successfully captures the feeling of love and the close relationship between brother and sister.